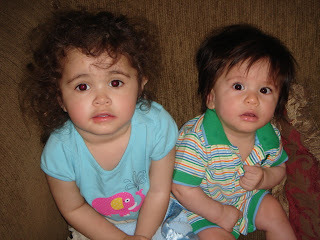 Here is the Phi and Felix on Tia Mary's couch. We were all there for Mikey's 15th Birthday Party. 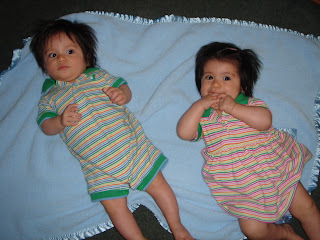 Then the twins hung out on the floor in their matching outfits from, who else, Tia Elaine!